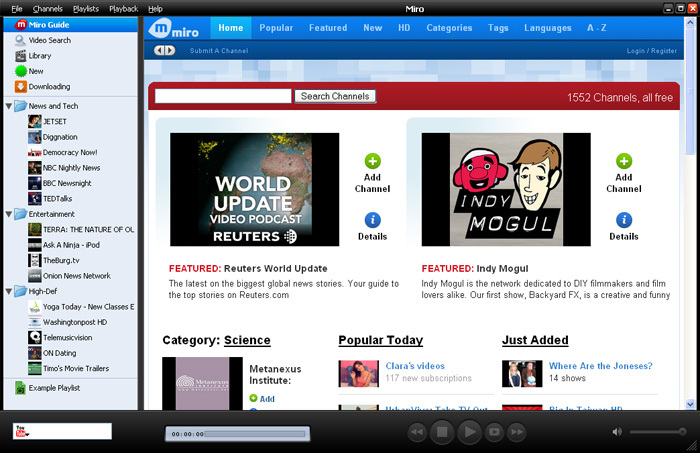 Miro lets you watch Internet videos like you watch TV. Download and watch all the best internet TV shows and videos in one powerful application. New channels arrive daily in the built-in Channel Guide. Stop squinting at tedious web videos-- sit back and watch big, high resolution videos one after another. It's so easy to use that you'll be watching interesting videos in moments. Top Notch grade A stuff here.